An amazing part of the world to be sure. 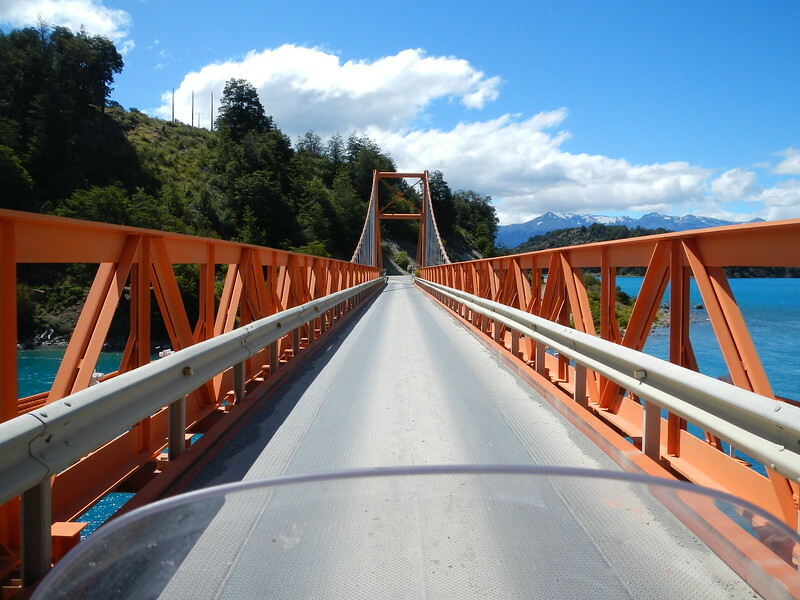 From Perito Moreno we had a short ride west to the border crossing near Chile Chico on the southern end of Lake Buenos Aires, which we learned is the second largest lake in South America, the largest is Lake Titicaca which is not only fun to say but is an interesting place we hope to visit on our way north. We find a cash machine and get some Chilean pesos, the conversion ratio is $1 = 675 pesos we we each take out 200,000 pesos! Between the two of us we have about a half million pesos, I feel rich. 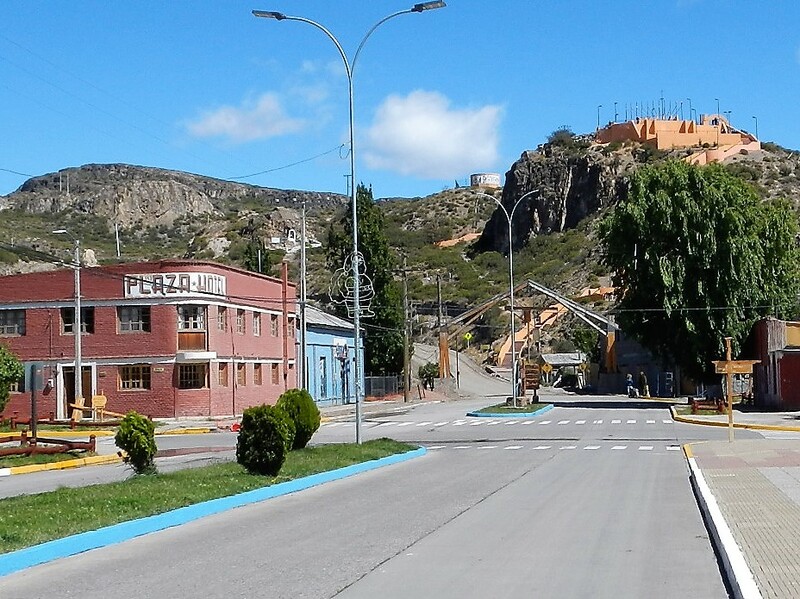 At the west end of Chile Chico there is this famous staircase and the pavement ends as we cross into the Andes mountains. Everything changed right here. You can see the gravel road head up into the hills. 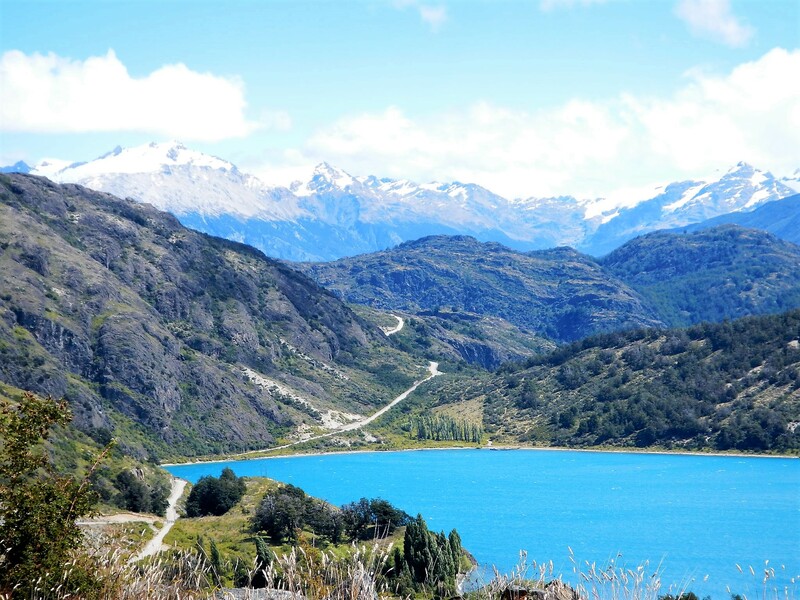 We literally said goodbye to the flat lands of Argentina and hello to the mountains, trees and lakes of Chile. Someone told us we would be trading the winds of Argentina for the rain of Chile. Being from Seattle I was used to rain and of course we were prepared. 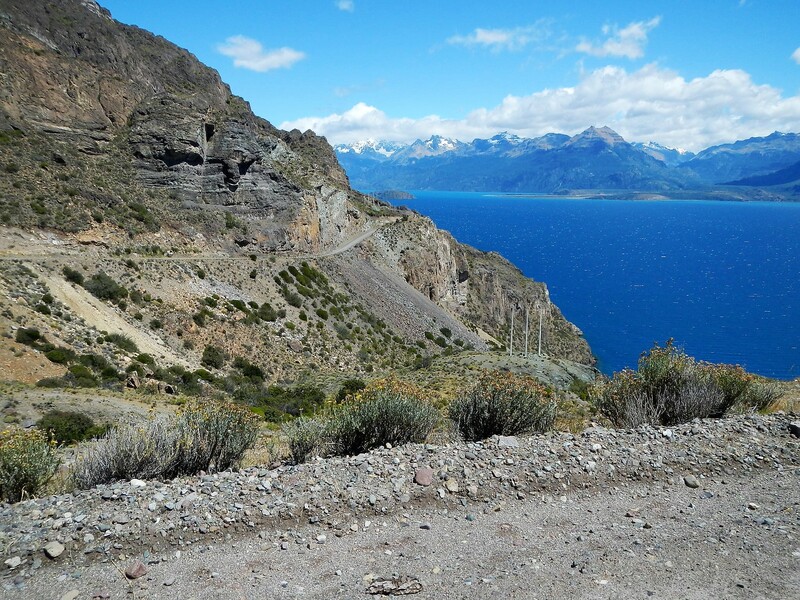 Almost immediately we were welcomed with spectacular views and great mountain roads. We looked ahead in anticipation at the winding road into the mountains. 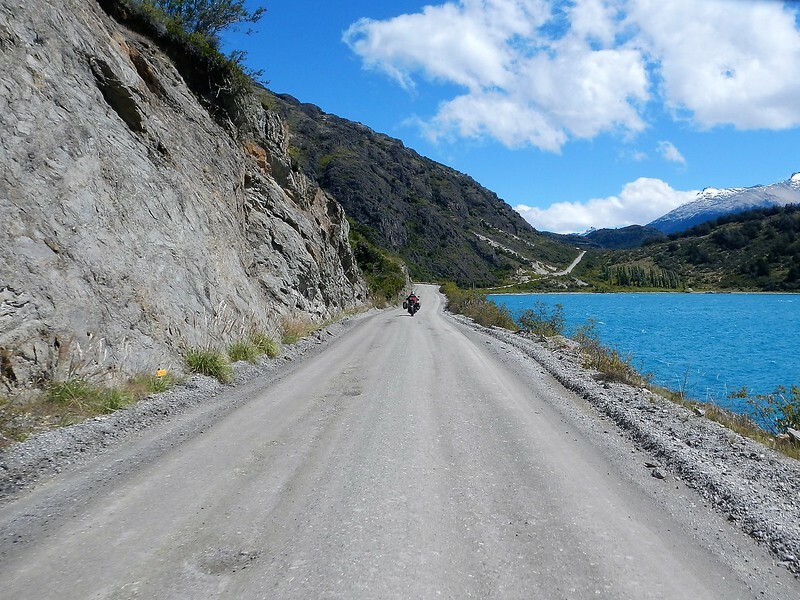 Great views and riding along the south edge (literally) of the lake. You can see the road in the distance. There were not many towns but we came across a small village and stopped for lunch. By the time I came in Deby said she ordered for both of us, when I asked what she ordered she wasn’t sure. Her Spanish is really improving and she has animated conversations but we are not always sure of the result. This was one of those times. However, in this case the result was fantastic. The friendly server brought us big plates with roasted chicken, salad and a huge serving of mashed potatoes. Yum and yum, just what we needed and way better than chips and Gatorade. I should have grabbed a picture of the food but was too hungry and just dug in. Here is the restaurant. 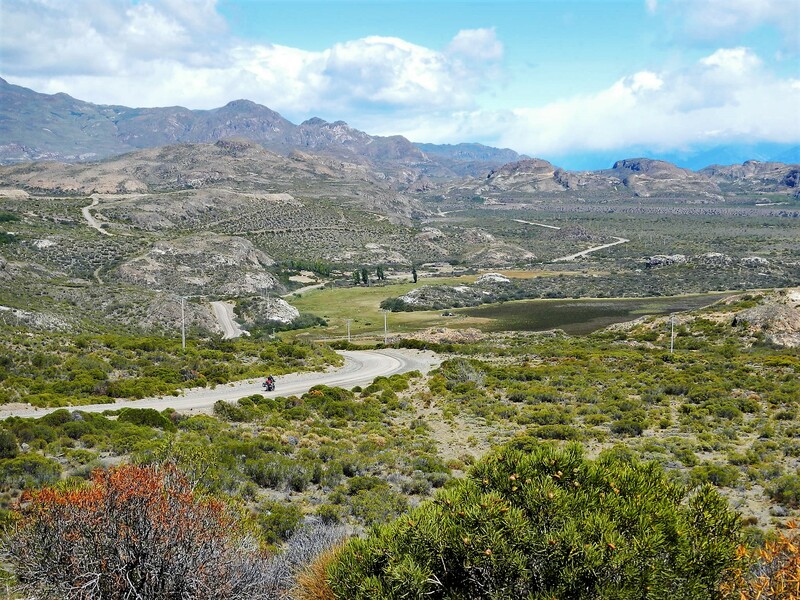 Very content we continued on around the second largest lake in SA, more beautiful views and nice riding. Challenging in spots but not too bad. Really different from the Argentina experience. I loved seeing the snow capped mountains of the Andes in the distance. 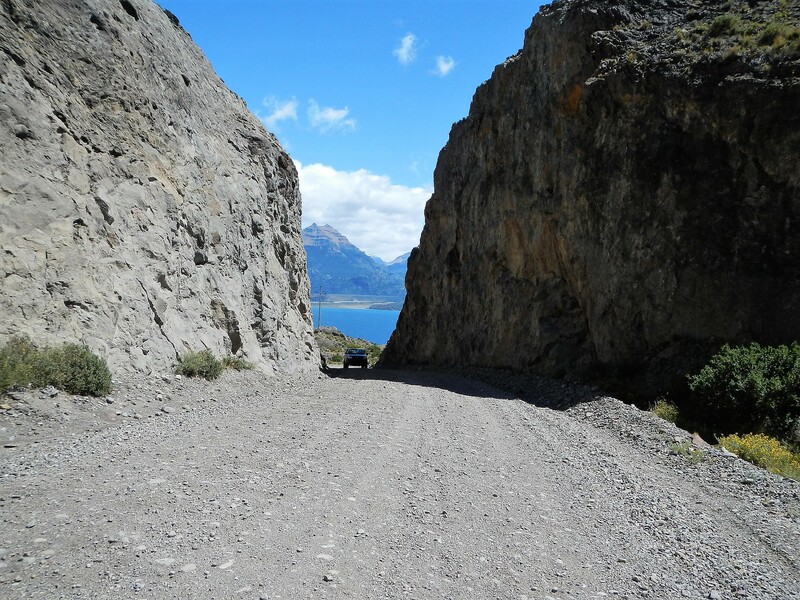 A geology lesson in every section of road carved through the mountains. It just kept getting better, nice views, dry, cool temps excellent day riding. 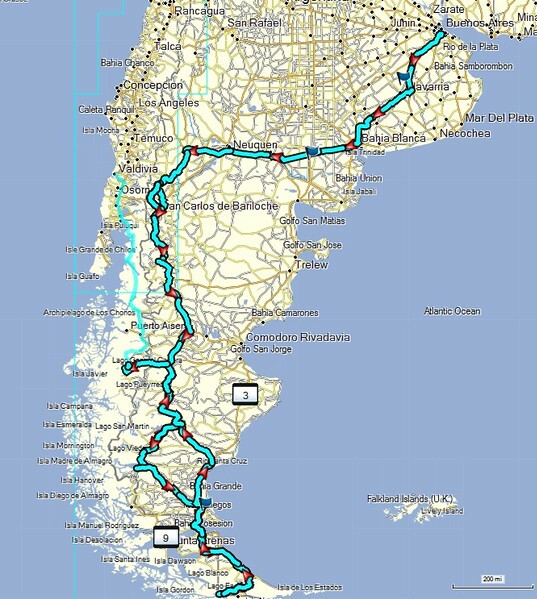 Eventually we intersect with the famous Caratera Austral that would be our friend for the next few days. Yes, we were happy campers. 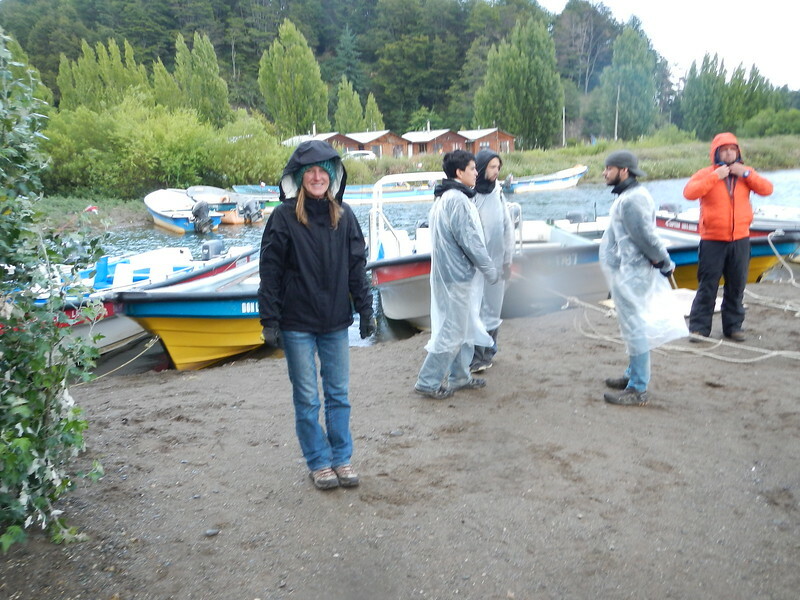 Eventually we arrived at our destination, Puerto Tranquilo a small town on the western shore of Lago Buenos Aires. We checked into an old and weathered hosteria right on the main drag and booked two nights. We were on a mission. 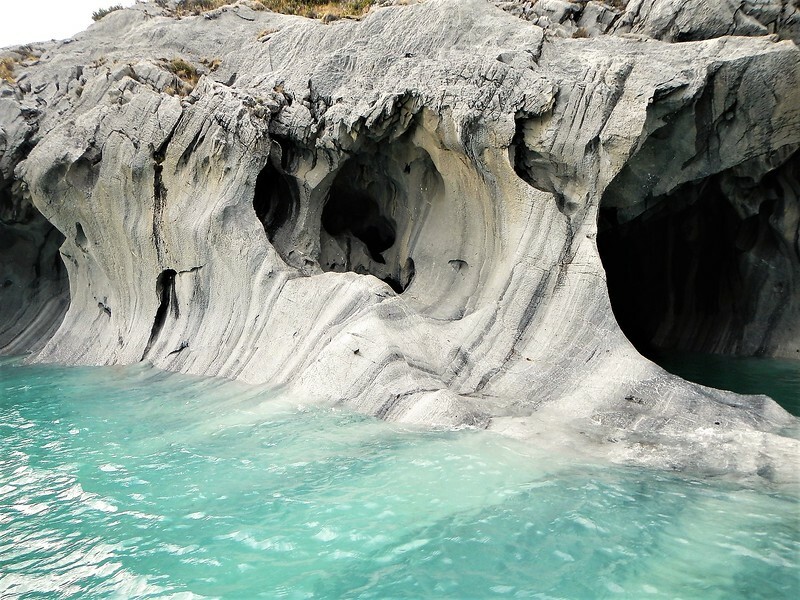 The main claim to fame of this little grouping of wooden buildings was that it was the launching point to visit the Marble Caves! Deby read about this before leaving and said it was a must visit. Being on our route it wasn’t even a detour and ended up being a fantastic visit. We booked a boat tour to see the caves for 7:30 the next morning, that was early for us since the hotel said they wouldn’t have breakfast until 7:30. We explained our situation and need for caffeine so they agreed to leave us a thermos of hot water and some instant coffee, something we are getting very used to (ashamed to say). Dutifully, we arrived at the meeting point at 7:30 which was actually directly across from our hosteria and we are told the winds are too strong to go out, come back later. Perfect, we cross the street to the hotel and they are serving breakfast. This time instead of bread and cheese they bring us scrambled eggs. Nice. We just finished another cup of instant and down the eggs when the tour guide comes into the hotel to get us. The wind didn’t seem any lighter and there was still whitecaps on the water but for some reason now it was safe. Ok with us, let’s go! We muster on shore and get a short safety briefing in Spanish, which I assume basically meant don’t fall overboard, check. 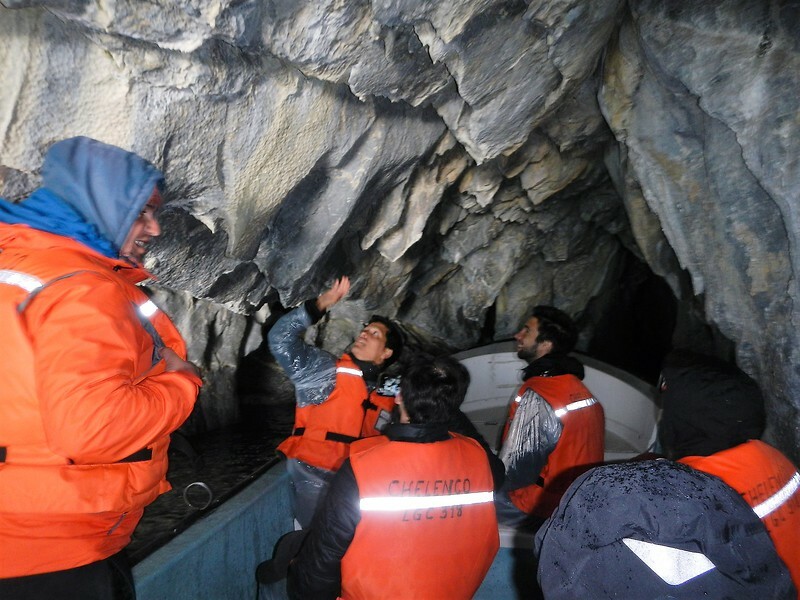 It’s cool and a little wet but we ride the boat for about 20 minutes in rough seas to a cove where we approach caves formed in marble over the centuries by the wind and rain. 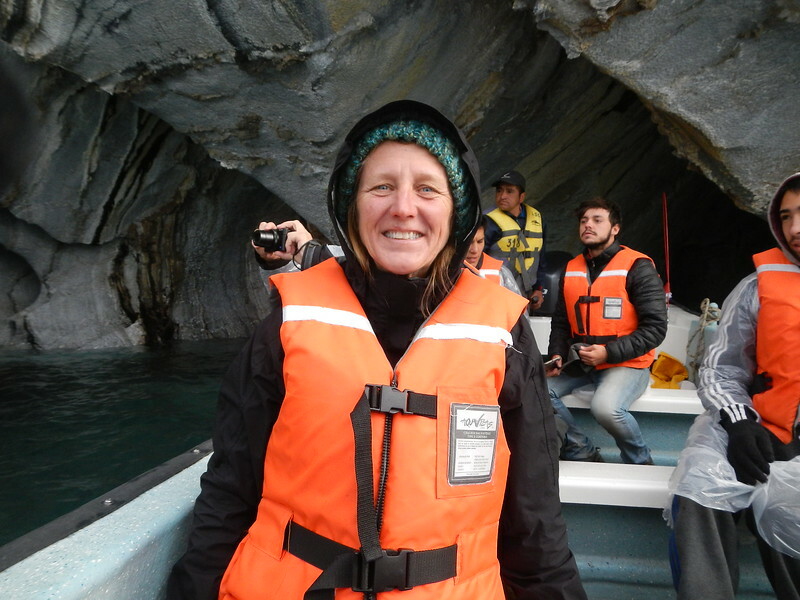 Seriously, I’ve almost never seen Deby so happy – caves made of marble and I have to agree it was amazing. I don’t know if there is anywhere else in the world you can see this. 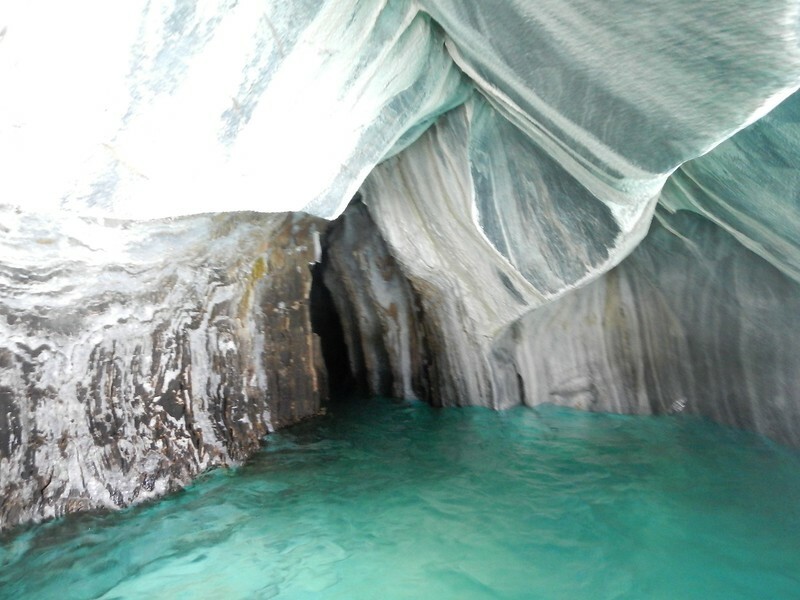 A number of the caves were big enough for the boat to go into, it was pretty cool. We took so many pictures both our cameras were low on battery power when we returned. I’ll show a few here but click on any of them to see more. It was amazing and well worth the stop. The tour was over in the morning so we had the rest of the day in the small town to wander and explore. The most important thing we found was a laundry. Actually, we were directed to an older lady who runs a hostel down the road who would wash our clothes for 10,000 pesos. Seemed like a good deal to us. I dropped of two heaping bags of stinky stuff and she said to return at 4:00. When we returned she was taking them off the clothes line where they were air dried and smelling good. Ahhhh. We settled in the common room of the Hosteria and spent the evening reading books. I thought about getting a blog post in but alas, once again there was no internet. Oh well, forced us to slow down a bit. 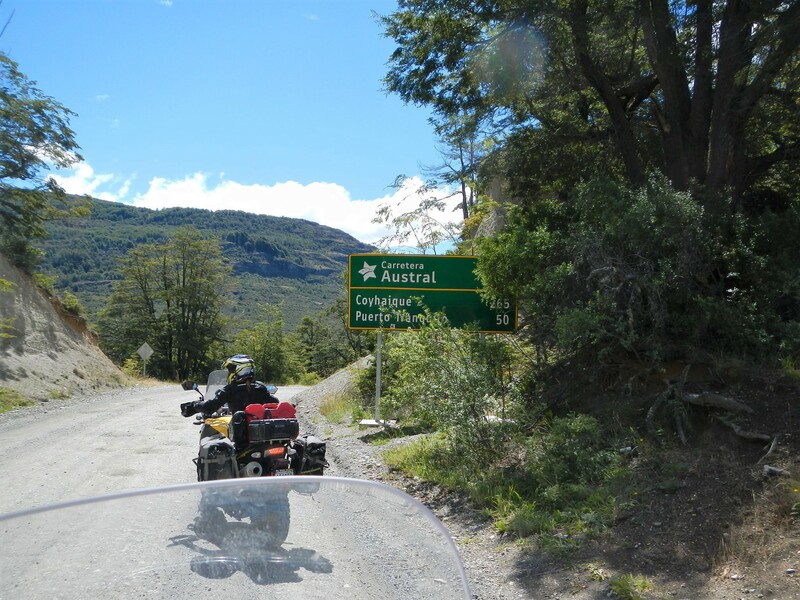 Next – exploring the Caraterra Austral, riding north. 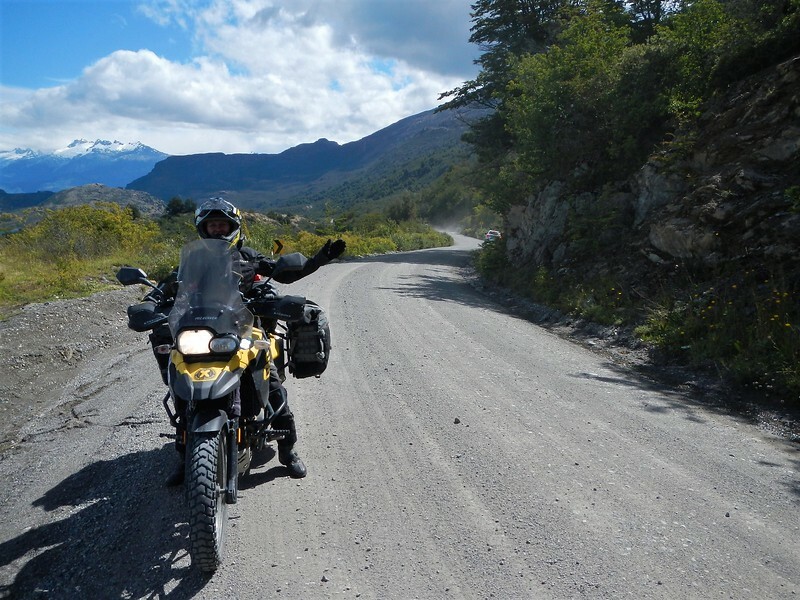 This entry was posted in 2017 Chile, 2017 Motoraid III, Dual Sport, MotoRaid III, Motorcycle Adventure by donnh. Bookmark the permalink. Awesome photos. Now this is what I call an adventure. I wish I was riding with you for this part of the trip. Be safe. Wow! Really beautiful. For some reason I was wondering about the lack of basic food in the gas stations. As we all know here in the US and Canada you can get almost anything to eat as long as its not too healthy. In Norway the state owned stations sell the most fantastic fresh shrimp sandwiches among other culinary delights but in Argentina , just chips? WTF. What else do they carry, no llama jerky? Great posts as always, be safe. Chile today, hot tamale? Amazing photos and what I believe is a life changing trip for you two. Thanks for sharing I love reading your posts!!! Stay safe out there!!! Wow. Incredible. I’m really enjoying your journey! 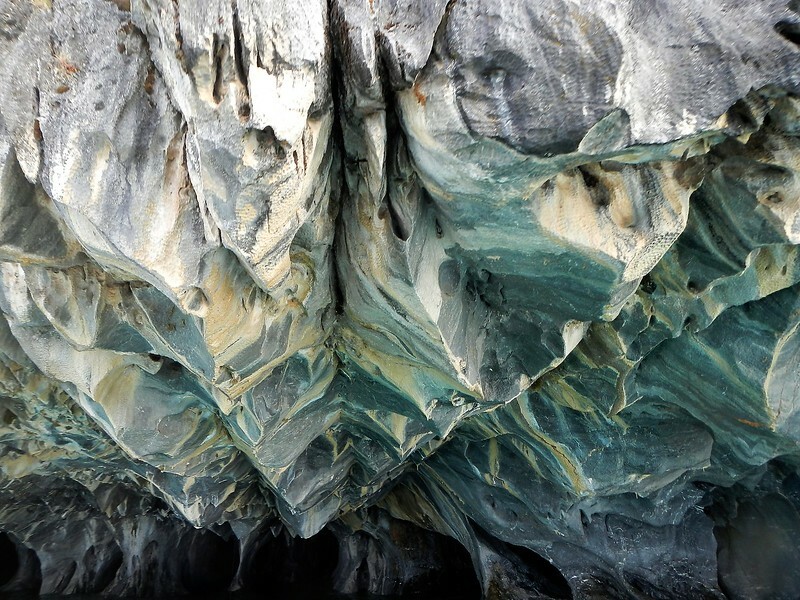 Those marble cave photos are amazing! The aquamarine lake water looks so pure. You guys are living the dream. Love your posts. So great to read more frequent posts and the pics are beautiful! Thinking about you two ! That road looks so scenic. We are having a stretch of cool sunny weather here…mid 40″s today. As I write this I hear the rumble of our friend Dannette’s Harley in our driveway as she’s sneaking out for a quick dose of wind in her face! 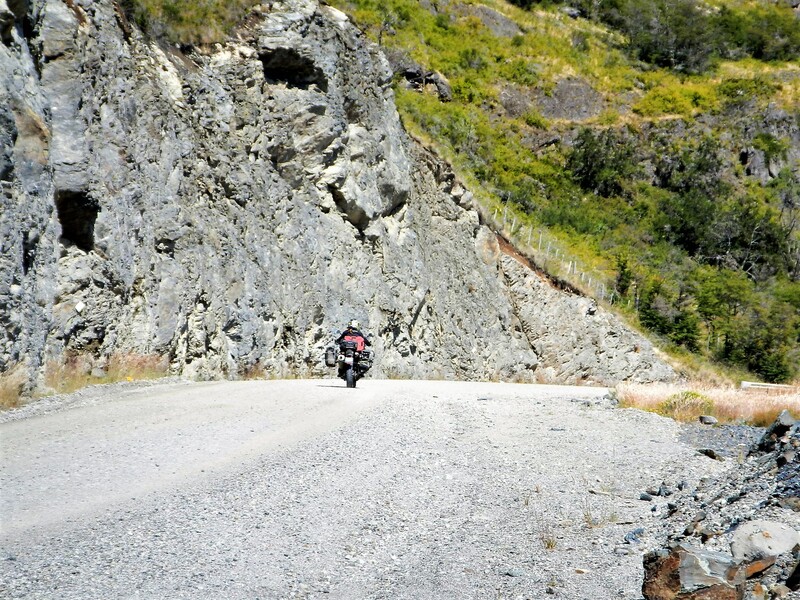 I have been sharing your posts with my dad who I’m sure is having a great time day dreaming about great moto adventures! Look what I found! Putzin in the garage last weekend while watching the endless though welcome rain we’ve been getting in NorCal, saw the sticker you gave me at HU in Sept. (I’d stuck it on my garage cabinet) Suddenly I remembered what it was and that you guys were doing this trip south – OH YEAH, they’re Ushuaia bound and have a blog! Excited, I run in to find you on the net, read away and am now caught up. Great writing Donn – very entertaining! Great pics too. What an adventure! Oh yea, I’m Scott, the guy on the F650GS twin, I bought a set of Mosko Panniers at HU after seeing yours Deby. Thanks for sharing. Hey nice to hear from you Scott! Hope you get a lot of use out of the Mosko bags, they have served me well! We both picked up an air hawk seat cushions, and not a day goes by that we don’t say thanks for tip! They are the best, no matter what the day brings, we never get sore butts! 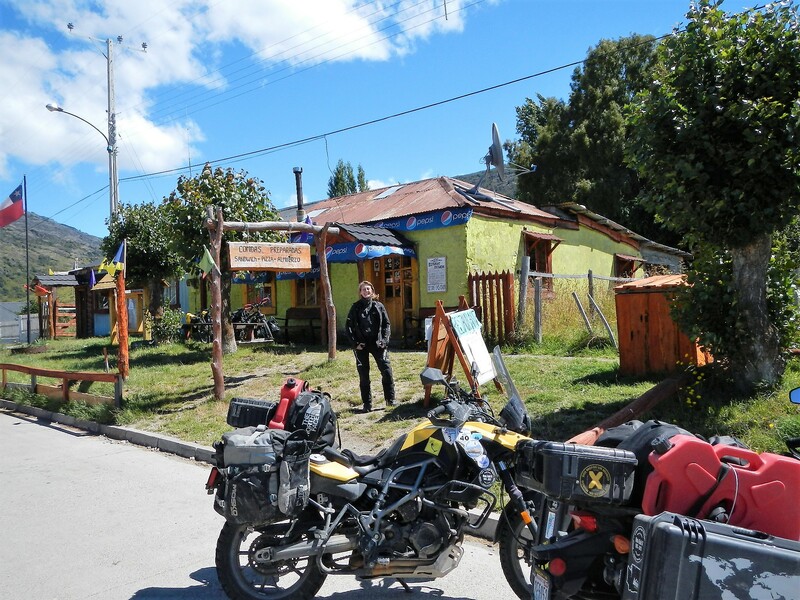 Thanks for following along on the ride, we are in Calafeyete today, heading into Bolivia by the end of the week. Lots more to come! Wow! Heavenly! 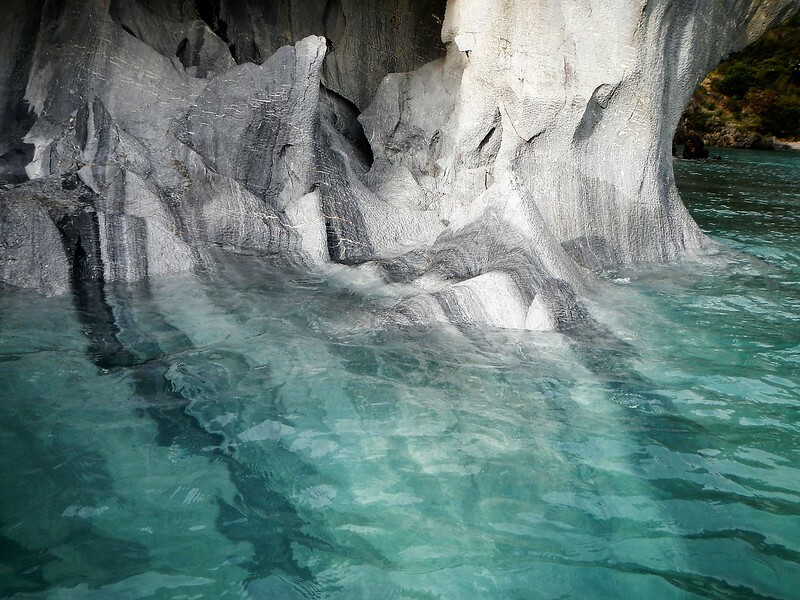 The vistas, the marble caves. So happy for you!